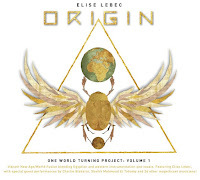 Having possessed a seemingly inexplicable fascination with ancient Egypt since childhood, I was particularly excited to receive Origin: One World Turning Project, Vol. 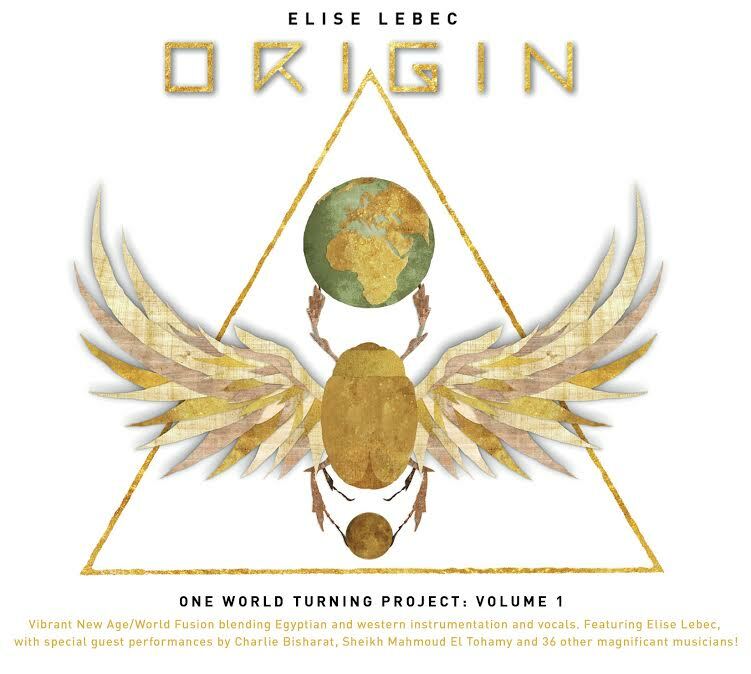 1 by Elise Lebec. With two piano-based recordings to her credit, including 2014’s Heart Song (one of my favorite albums of that year), this gifted pianist and composer ventures into markedly different and mesmerizingly exotic territory on her latest effort. Comprised of nine compositions inspired by ancient Egypt and the middle-east, Origin fuses traditional Arabic music with modern electronica and other western elements, which are often complimented by Lebec’s own ethereally haunting vocals. Joining her on this magnificent adventure are nearly forty guest artists, of which include Abu Zaed, Charlie Bisharat, Mai Mostafa, Mahmoud Marv Ellis, Sheikh Mahmoud El Tohamy and Turon Davis. “Taaly Maaya” opens the album in a somewhat foreboding mode, eventually unfolding into a mysteriously powerful arrangement of Arabic instrumentation and tribal percussion blended with distinctive electronica. Providing a majestically beautiful introduction, Lebec soon delivers an ethereally soulful melody evocative of an ancient rite or ceremony that seemingly casts a veil of enchantment upon the listener’s senses. Equally spellbinding, “Queen of Light” ensues with more English-sung lyrics silkily woven into a world groove arrangement accentuated by classical strings, which effectively evoke a cinematic quality of viewing an old film portraying a sojourn across the Sahara. The vivaciously seductive “Cairo Morning” bears distinctive elements of Raï music, as it weaves wordless ethereal vocals around that of a man’s rapping in Arabic. Seemingly slipping back into the scene of an old film where the site of the sphinx and pyramids come into view, “Bolero" is a stunningly beautiful composition and easily my favorite herein, in which Lebec delivers a sultrily sung melody amidst Arabic male vocals echoing in the distance. The equally enthralling “Rumi Song” (named for a 13th-century Persian-born Sufi mystic) features Cairo-based singer Mai whose voice one might easily mistake for that of Natacha Atlas. A powerful blend of lushly layered electronica and Arabic instrumentation, the piece seemingly transports the listener back in time where ancient temple ruins and monuments become fully restored to their glorious beauty and reverence. Named for an ancient Egyptian solar deity, “Sekhmet: The Goddess Awakens” bursts forth with thundering tribal percussion and a spoken chorus of women in poetic mantra that increasingly builds with intensity. Exuding a distinctive pagan flavor, the piece elicits imagery of the women dancing in celebration around a Saharan desert campfire. Another favorite, “The Jam: Luxor, Egypt”, is comparatively more traditional, albeit with deftly interwoven electronic textures and occasional injections of English-sung vocals which work to utter perfection. Taking another slight detour is the positively feel-good “Sufi Dance”, in which funk/soul elements, wah-wah effects and psychedelic organ are joined by English rap lyrics backed by gospel-style singing. Concluding the album is “Hob Elahy: God is Within”, which begins with a tantalizing Arabic male-vocal chant; Lebec’s equally mesmerizing lyrical melody ensues, guided by a driving rhythm that conveys an image of riding off into a desert sunset. For more information please visit the artist's website. This album is also available at Amazon and iTunes. This review was originally published on Journeyscapes Radio on 06/26/17. 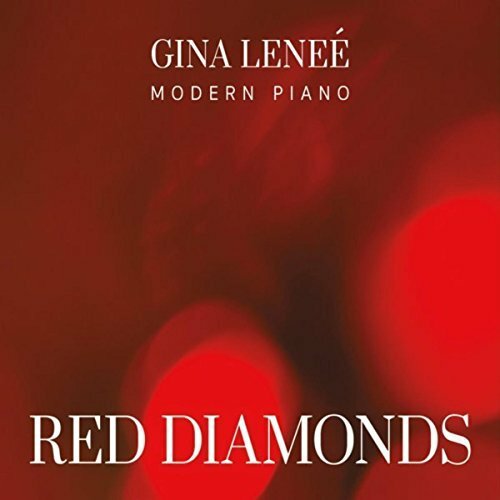 Californian native and resident Gina Leneé is a classically trained pianist and composer who’s released a handful of albums since the early 2000’s. Her latest album, Red Diamonds, marks her first time working with Windham Hill Records founder Will Ackerman, which was recorded at his Imaginary Road Studios in Vermont. Comprised of ten compositions showcasing Leneé on piano, the album variably features guest performances throughout which includes Ackerman on guitar, Charlie Bisharat on violin, Eugene Friesen on cello, Jill Haley on English horn, Jeff Haynes on percussion, Jeff Oster on flugelhorn, Marc Shulman on electric guitar, Premik Russell Tubbs on electronic wind instrument and saxophone, Tom Eaton on fretless bass, guitar and vocals, and Noah Wilding on vocals. “A Thousand Days Without You” opens in a graceful, unhurried manner with subtle English horn melding into the backdrop along the way. “Soulmates” continues in this gentle piano mode seemingly tip-toeing about, as accompanying violin further lends an added touch of gracefulness that perfectly illustrates a couple’s dance. Initially beginning more slowly, “Carry Me Away” eventually picks up a livelier pace with underlying percussion and a repeating piano riff throughout. Electronic woodwind and breezy wordless vocals further lend the piece a somewhat Celtic feel that likewise paints a scenery of open meadows and sunny skies. An especially lovely composition, it seems to tell of story of waiting to be whisked away by a lover whom one wishes will soon arrive. My absolute favorite piece herein is “The Moment”, clocking in at nine minutes as the album’s lengthiest track. This hauntingly sensual number treads along more ambient-jazz terrain, aided in part by drifty flugelhorn which helps to convey a deeper level of intrigue. Softly echoing percussion, subtle brushes of wordless vocals, sparse guitar notes and the mysterious melody of electronic woodwind perfectly round-out this piece, which serves as a shining example of many subtle yet perfectly placed musical elements coming together to create a truly outstanding composition. 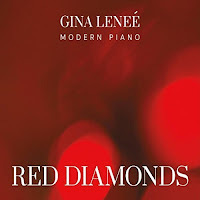 The title track, “Red Diamonds”, moves along in a somewhat galloping manner with its focal melody warmly accompanied by percussion and violin. The album’s most subtle piece, “Art of Life” is another highlight defined by a notably elegant melody graced by cello and airy vocals. And finally, “Forever” concludes the album as its most sentimental piece, led by a tender melody that’s once again accompanied by English horn. For more information please visit the artist's website. This album is also available on Amazon, iTunes, CD Baby and Google Play. Review originally published on Journeyscapes Radio on 06/09/17. 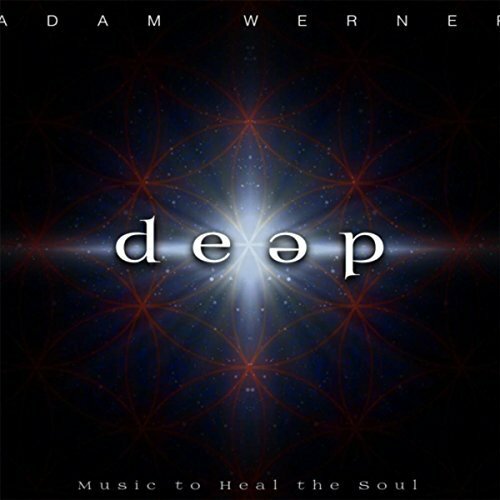 Deep (subtitled Music to Heal the Soul) is the latest album by guitarist and composer, Adam Werner, whose signature fingerstyle guitar technique has often been compared to that of the late pioneering guitarist Michael Hedges. Comprised of twelve peacefully reflective and melodic compositions spanning forty-four minutes, the album includes alternating arrangements of both solo acoustic and ensemble pieces with subtle vocals in parts, which variably feature guest performances by Samite, Kris Tischbein, Ken Verheecke, Adam Howe, Michael Manring, Kentaro Otsuka, Jim “Kimo” West and Sydney Easton. Lending his mesmerizingly soothing vocals to the unforgettable first track, “Sage & Sand (for Tristan)”, is Ugandan singer and former Windham Hill Records artist, Samite, whose own music I’ve long been a fan of. A spellbinding fusion of contemporary acoustic and world music, atmospheric textures envelope gentle acoustic guitar, as Adam additionally lends bass and percussion while Samite plays a captivating flute melody throughout. Moving in like a gentle breeze upon a tranquil landscape is “Thank You”, in which Adam creates stretches of atmospheric tones with eBow guitar along with a rhythmic pacing on acoustic guitar, as Kris Tischbein further underscores the piece with bass guitar. “Footprints in the Fog” is another gem of a composition that exudes a misty atmosphere. Here, Adam plays guitar, bass and percussion accompanied by Ken Verheecke on nylon guitar and Adam Howe on banjo. A lushly beautiful ensemble, each distinguishable instrument becomes part of a most intriguing interplay, which is perfectly carried to conclusion by the distant sound of a cold wind gust. The one-minute “Island Swing” is the sunniest piece on the album, perfectly capturing the Hawaiian spirit with its serenely uplifting ukulele solo. 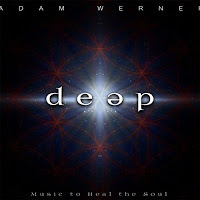 The title track, “Deep”, is among the album’s handful of solo acoustic guitar pieces and arguably the most mesmerizing of its kind. Simple yet profound in its contemplative essence, warm, languid tones seemingly paint a picture of a solitary beach and sunset. Equally enthralling is “Psyche vs. Soul”, a subtly stormy piece characterized by sparse, echoing chords that additionally features Kentaro Otsuka on bass as well as Adam Howe on drums and 12-string guitar. “Early Mourning Passage” just as beautifully wraps-up the album as it unfolded. Here, Sydney Easton lends wordless ethereal vocals as repeating guitar notes drift upon a soundscape of eBow guitar, bass and percussion, ultimately fading out with Sydney’s lone vocal intonations. For more information please visit the artist's website. This album can also be purchased at Bandcamp, Amazon, iTunes, CD Baby and Google Play. This review was originally published on Journeyscapes Radio on 06/06/17. 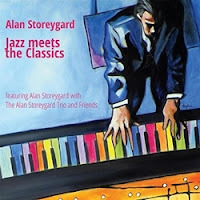 Jazz Meets the Classics is musician and composer Alan Storeygard’s fifth recording and first classical album, his previous four releases having primarily featured jazz piano arrangements and original songs. Comprised of nine reinterpreted classical compositions, including several lengthier medley-styled pieces, the album spans over seventy-two minutes and features covers by some of the greatest classical music masters in history such as Sergei Rachmaninoff, Ludwig Van Beethoven, Frederic Chopin, Johann Sebastian Bach, and Peter Ilyich Tchaikovsky. Alternating between solo piano and symphonic orchestration throughout, Storeygard is additionally joined on varying compositions by Brain Wolverton on bass, recording engineer Dave Rogers on drums, Danny Fletcher on guitar, and recording engineer Eric Chesher on orchestration and synthesizers. “Rachmaninoff’s Prelude in C-Sharp Minor” offers a bold, stark opening full of dramatic, sweeping piano accompanied by cymbals and brass instruments. Initially conveying a setting of being in a large auditorium while viewing a dazzling live stage performance, the mood shifts at about the halfway point to that of a more intimate piano-bar setting that incorporates notably jazzier elements. Winding down towards the latter part of the piece with a solo piano jazz riff, the composition signs off with one last exertion of swelling neoclassical symphony. Arranged as a tone poem, “The Moldau Symphony” by Bedrich Smetana and Hector Berloiz opens with delicately twirling piano in the higher registers, which slowly descend into a more reverberating fullness. Conveyed by the expressive sound of grand piano, the piece eventually unfolds into a lovely classical jazz ensemble. The slower-paced classical number, “Beethoven’s 9th Symphony”, is given an interesting spin by being fully rendered into a jazz ensemble framework. Perfectly suited to a couple’s dance, the piece seemingly conjures images of a romantic evening spent dining at a quaint café. The nearly twelve-and-half-minute medley, “Chopin’s Ballade 1 in G Minor, Nocturne 2 in E-Flat, and Waltz 6 in D-Flat”, is perhaps my favorite composition on the album, noted by a subtle waltzing pace that is alternated with a more rubato approach, as solo piano dances up and down the registers with a graceful extravagance. The most curious inclusion on the album is perhaps “The Star-Spangled Banner”, a definitively bombastic yet well-rendered composition that ultimately concludes with Giacomo Puccini’s classically famous “Nessun Dorma”. For more information please visit the artist's website. This album can also be purchased at Amazon, iTunes, CD Baby and Google Play.